Find out how much of a superfan you are with mind-boggling questions, fun picture rounds, and bonus "genius questions". Become a quiz master and test your friends and family with hours of entertaining LEGO DC Super Heroes trivia. With chapters on Super Heroes and supervillains, you can find out incredible facts about every aspect of the LEGO DC Super Heroes Universe including amazing superpowers, cool vehicles, and secret identities. How did the Flash get his powers, where is Superman's secret base located, and what is the name of Green Lantern's alter ego? Which supervillain was once elected president and where does Nth metal come from? 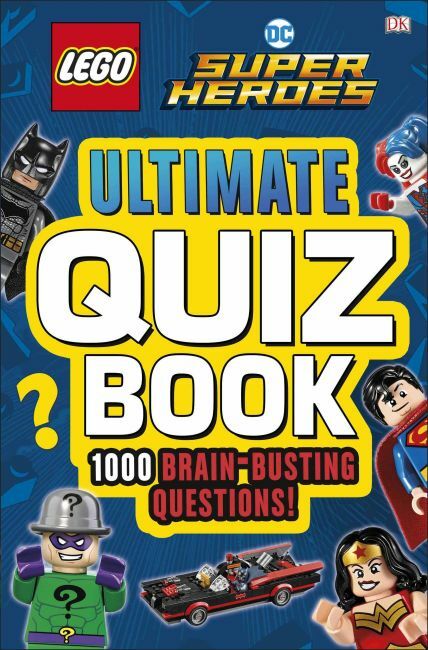 Discover the answers to all these questions and many more in the the LEGO DC Super Heroes Ultimate Quiz Book!